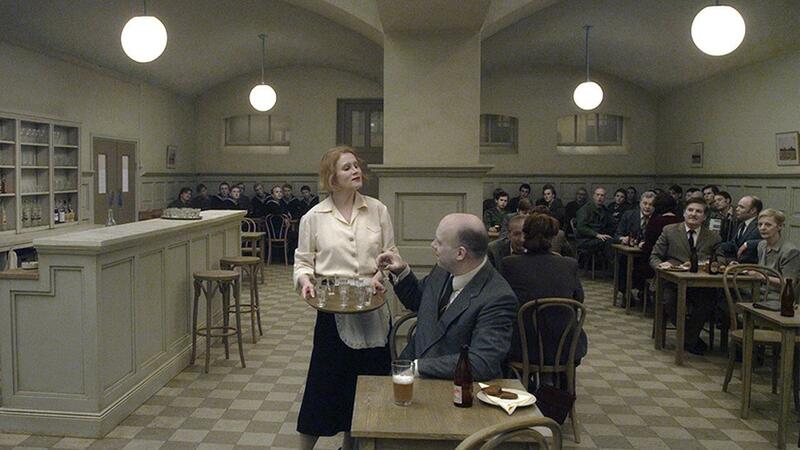 The best finale to Roy Andersson’s witty and extremely unpredictable existentialistic Living Trilogy. Golden Lion at the 71st Venice Film Festival. 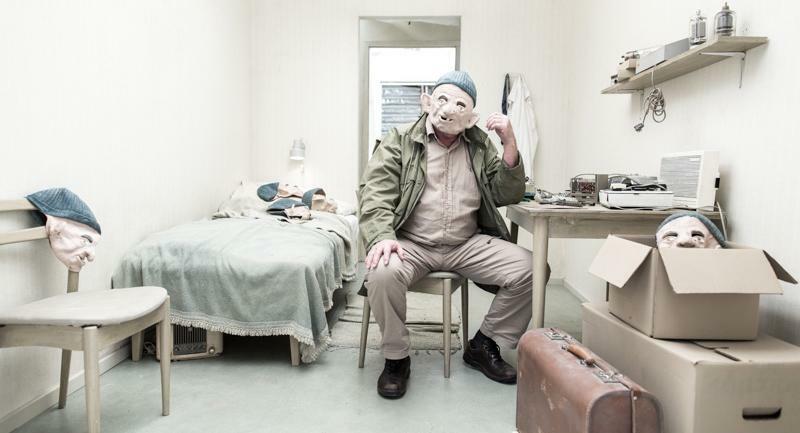 Despite the fact that his career extends over almost 40 years, Roy Andersson still remains one of Sweden’s most sought after directors. He gained international attention in 2000 when Songs from the Second Floor was released. This was also the first part of his loosely connected Living Trilogy. He continued in 2007 with the second part of the series, You, the Living. Seven years later Andersson concludes his trilogy with the final part entitled A Pigeon Sat on a Branch Reflecting on Existence (En duva satt på en gren och funderade på tillvaron). The title, that could be interpreted as a bit pretentious is actually a reference to the painting The Hunters in the Snow by Pieter Bruegel the Elder and should be taken as joke. The film won the Golden Lion award of the 71st Venice Film Festival. Following the trilogy’s tradition the film doesn’t really follow any strict storyline since it is composed out of 39 autonomous scenes, all taking place in small minimalistic boxed-shaped settings. Thematically every story could extend into different topics starting from everyday problems till philosophical questions of the human existence, about life and death. For that reason there are no literal main heroes, at least not in the traditional way. Apart from some characters that tend to reappear in other stories, only Sam (Nils Westblom) and Jonathan (Holger Andersson) are really present for the whole film. They are working as salesmen and they are constantly promoting their novelty grotesquely funny items. During their routes they should deal with their own philosophical indigence and they will even meet King Charles XII before and after the battle of Poltava. As it is expected the plot is quite irrelevant to the final result since the film is so visually powerful and it could be considered as an act of Andersson’s perfectionistic stylization. The austere picturesque aesthetic that is quite present in these 39 vignettes of the characters’ lives creates a parallel uniquely obscure reality. Everything is of course seen through an offbeat absurd prism that Andrersson masterfully handles. The nearly eerie tableaux vivants host his pale almost dead-like coloured heroes that, with minimal dialogues and movements, are following a vagarious rhythm of acting. Pigeon could easily be an oeuvre to minimalism since this is the predominant characteristic of the whole film. It is present in every visual aspect and it even extends to the camera that always remains still for each of these one-shot scenes. For the connoisseurs Pigeon is a pure “Anderssonian” film in the essence of all of his previous work and with that in mind the viewer should expect some real moments of drama, gruesome jokes and even comic strips of black deadpan humour. It is really hard to put a genre label over this kind of extravagant work of art. For that reason it is a perfect anti-hero film and the right place for the non-comedic duo of Sam and Jonathan to shine. Even if their goal is to make people happy and entertained, they themselves are the most depressing caricatures of this world. They act like a gloomy flipside of Laurel and Hardy, or, as the director stated, a modern day variation of Don Quixote and Sancho Panza. Their own existence is based on their mission and reflects on the others’ reactions even if their lives could unfortunately been taken as boringly granted. A Pigeon Sat on a Branch Reflecting on Existence could easily be the best finale to a witty and extremely unpredictable trilogy. It doesn’t have either the bleakness of Songs from the Second Floor or the dreamlike sequences of You, The Living but it feels strangely closer to reality and is the most approachable and understandable of the whole series. Certainly Andersson doesn’t simplify his material and he is still exquisitely capable to offer the demanded awkwardness to his audience by capturing the most evident observations in the most unorthodox way possible.